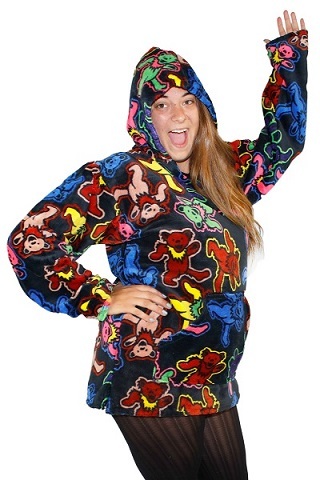 Super soft fleece baja hoodies with a Grateful Dead theme! This design features the dancing bears all over. Let the jerry bears keep you nice and warm. Officially licensed Grateful Dead merchandise. I love this hoodie! I get so many compliments I'm almost embarrassed! Do yourself a favor and get one. The constant positive feedback you get will keep s smile on your face all day!